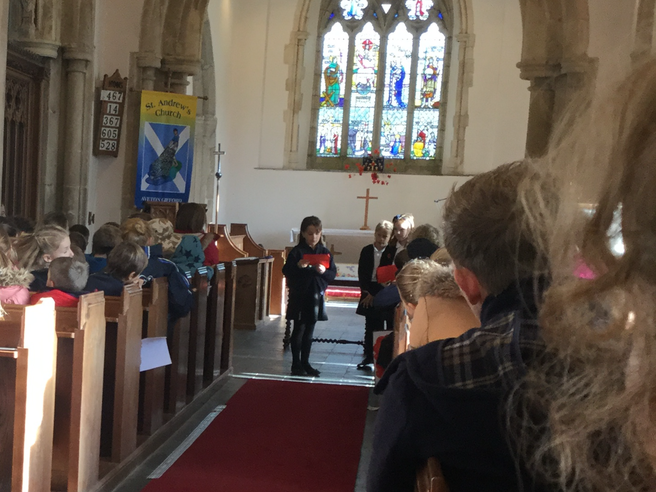 Today, Friday 11th November, at 11.00am, parents and carers joined us at St Andrew's Church for our Remembrance Assembly. 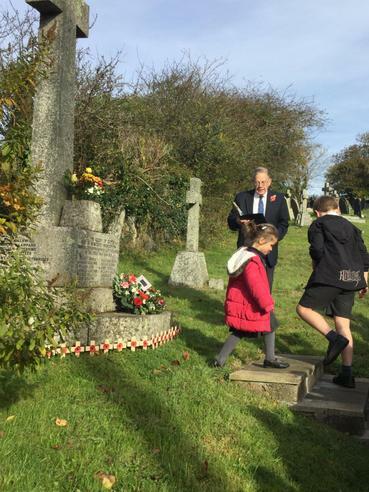 This week of all of the children have been learning about Remembrance Day and how this is a time when we are all able to pay our respects to the people who gave their lives during so many of the conflicts that have taken place around the world, in particular those who fell during the two World Wars. 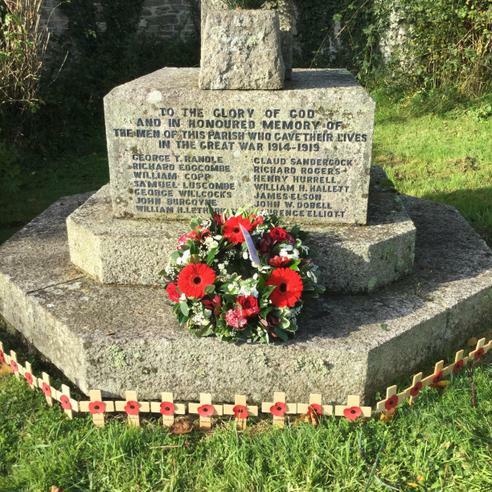 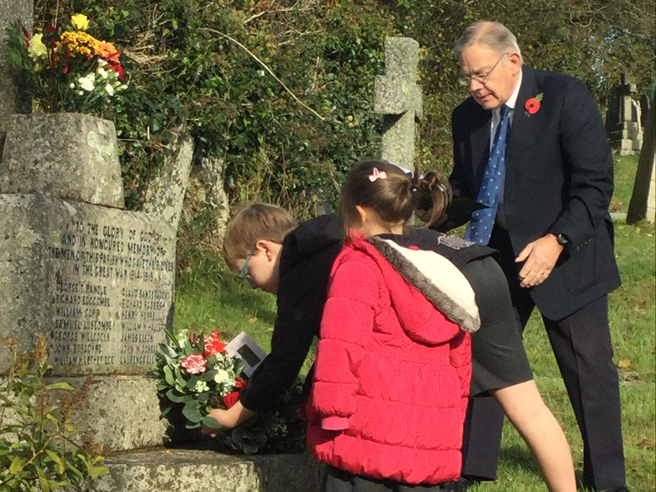 Prior to the Assembly, Freddie and Freya laid a wreath from the school at the village War Memorial. 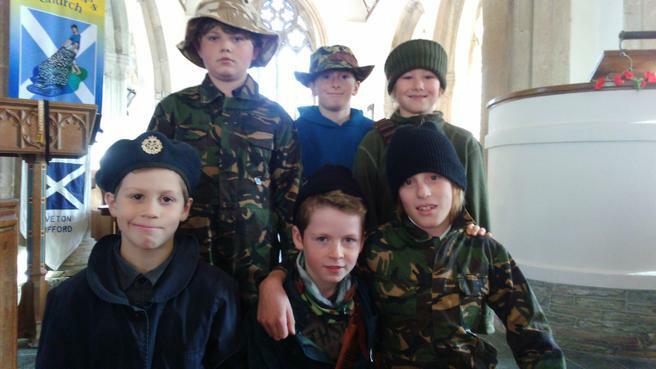 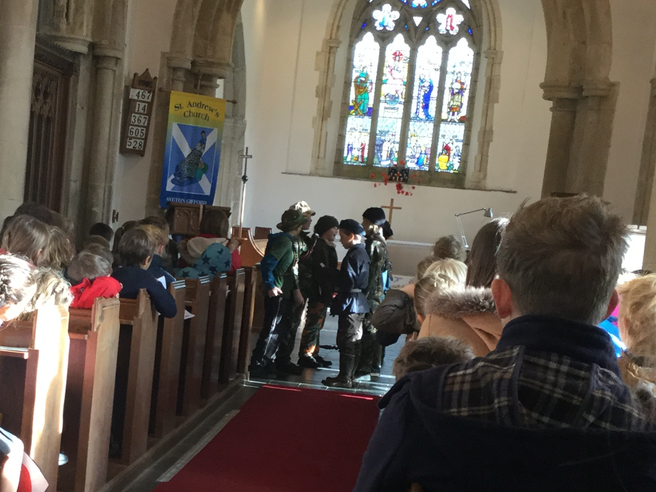 Charlie, Ben, Benji, Reuben, Callum and Owen from Swans class re-enacted the events of Christmas Day 1914 when some British and German soldiers called a temporary truce so that they could exchange gifts and even play a game of football. 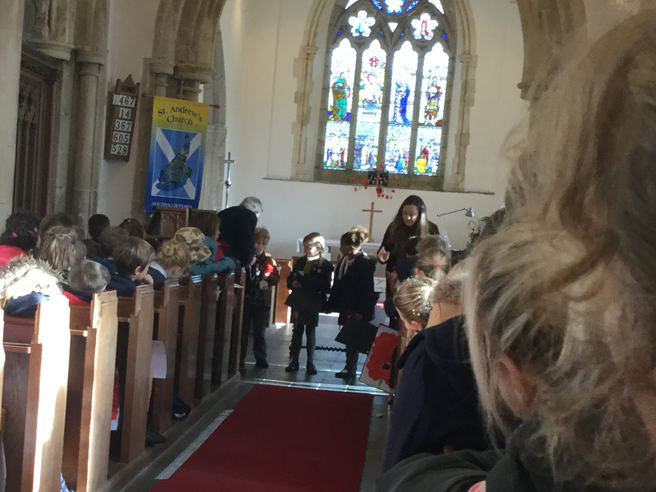 The scene was set with three of the boys singing 'Stille Nacht, heilige nacht' followed by the other three boys replying in English with 'Silent night, holy night. 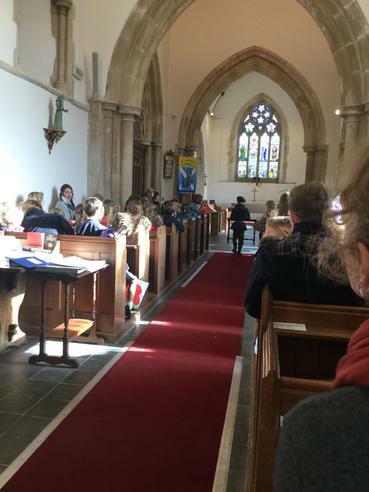 The performance captured the imagination of everyone present and ended to appluase from everyone in the Church. 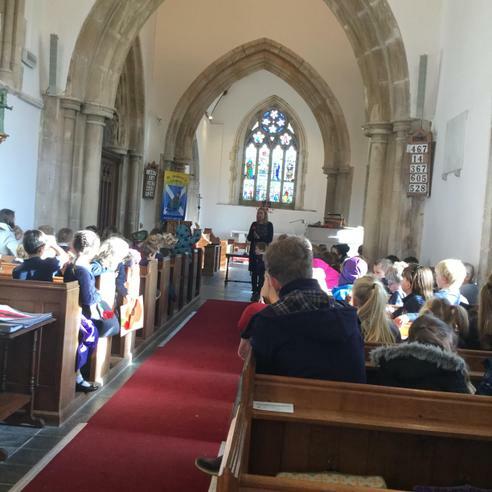 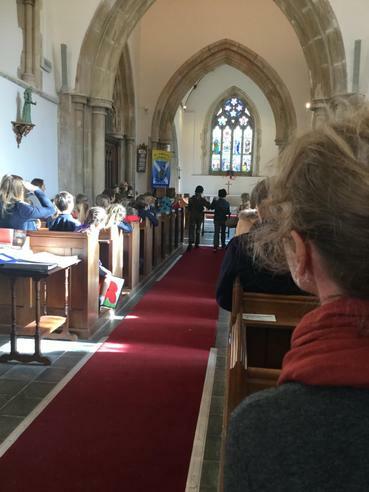 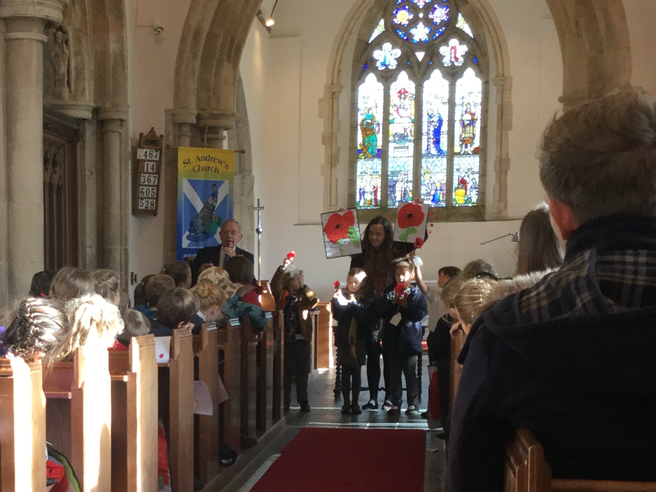 Some of the children from Herons and Egrets read pieces that they had written about the wars and the older children in Swans spoke about the significance of the poppy and Flanders Field. 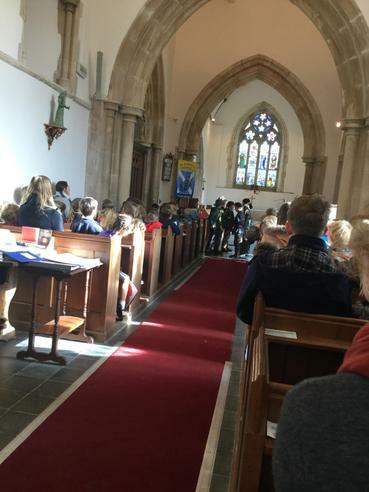 The Remembrance Assembly finished with the younger children in Kingfishers sharing their paintings with everyone. 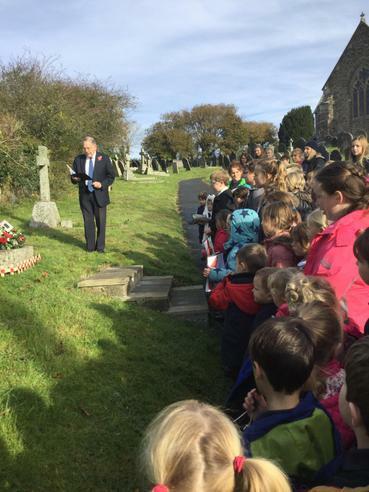 We would like to say thank you to Mr Tagent for joining us at this special Assembly.